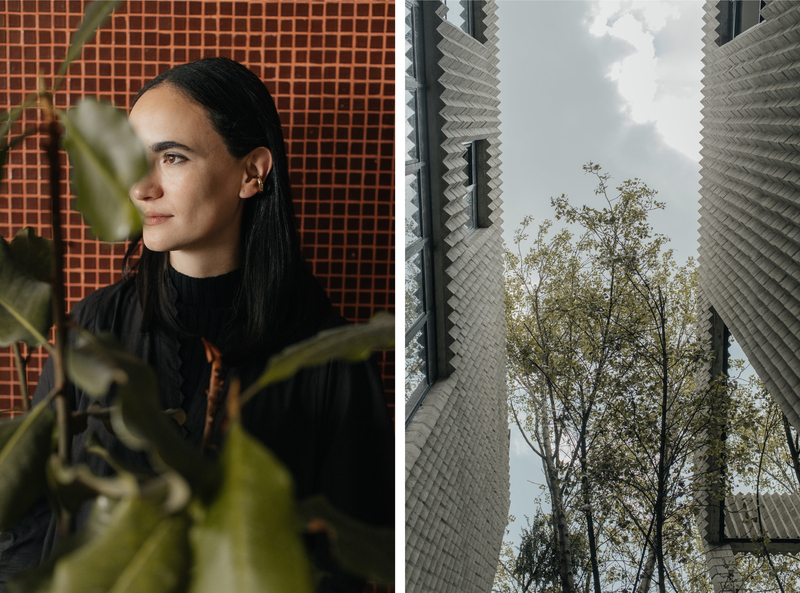 This all came to an end when Escobedo was tapped to design the 2018 Serpentine Pavilion in London, propelling her into wider consciousness among a near-canonical list of past honorees including Oscar Niemeyer, Peter Zumthor, Toyo Ito, Rem Koolhaas, and Frank Gehry. 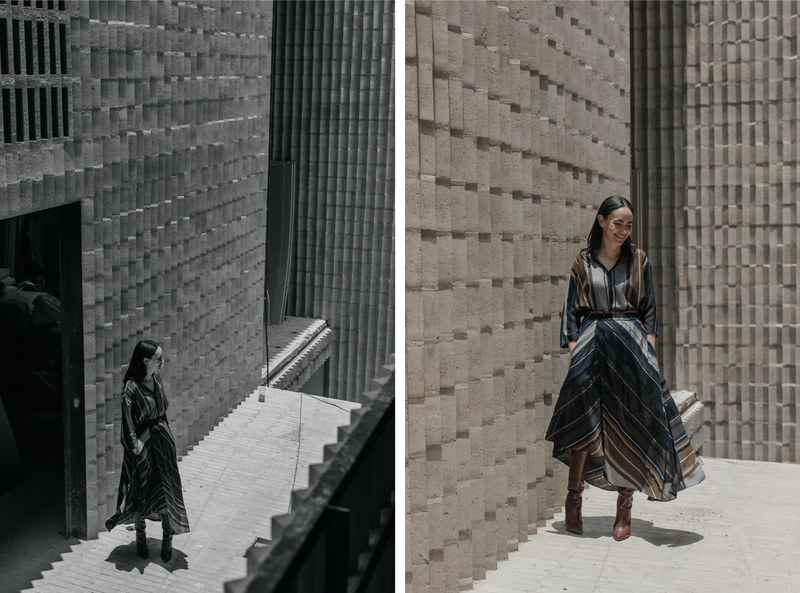 That these architects are all relatively older and male has not been lost in the last few months of wall-to-wall press coverage of Escobedo, the youngest architect ever to design the Pavilion, and only the second woman in its history, after Zaha Hadid. 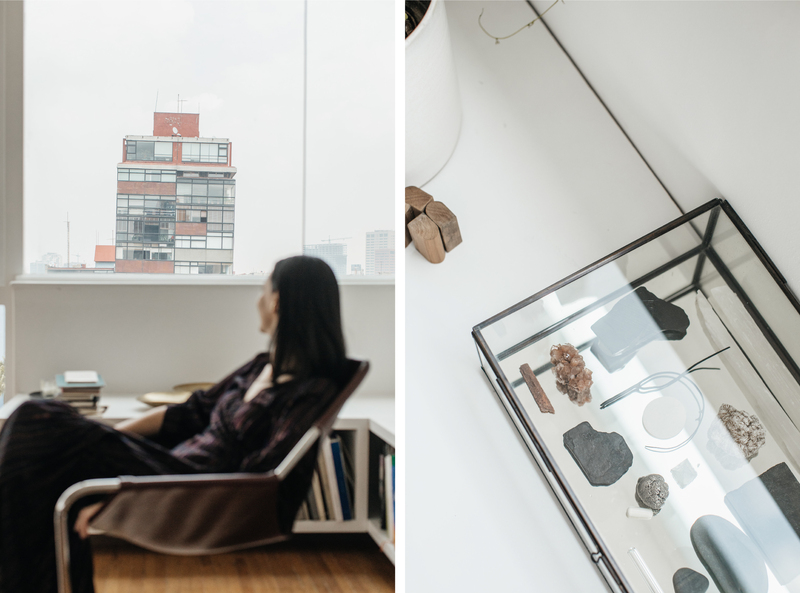 We met Frida on a Monday morning in her apartment, overlooking the Angel of Independence in Mexico City. 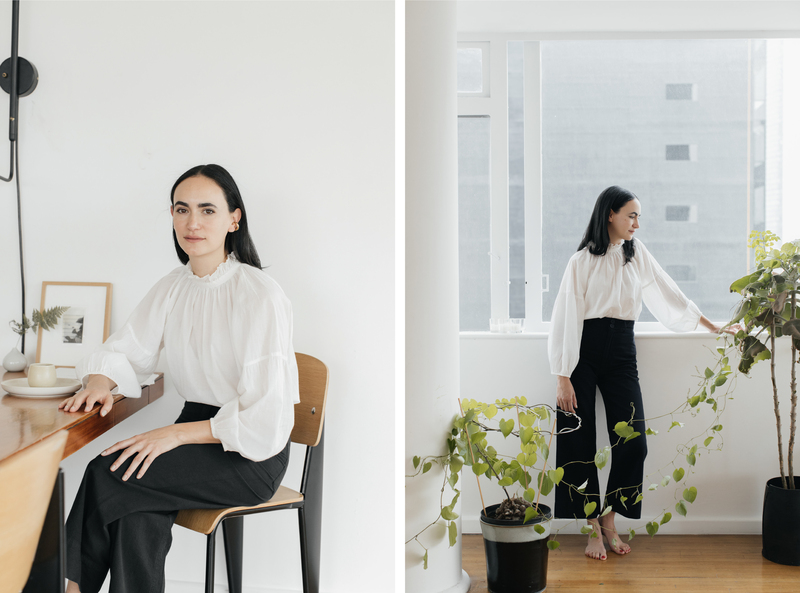 Escobedo is a self-proclaimed shy person, observant in the way shy people are — looking out at the world from a mind honed to inciting its own interest. She is also extremely kind. I note this not to be diminutive of the work, but rather because kindness is a feature that informs the whole project of living, and especially when those kindnesses are small. When we speak of what an architect has built, we do not often speak of how they treated the people who actually built it. (Later that day, we go with her to a construction site in Popotla, a nearly completed housing project, and among the actions that create a building: Under the scaffolds, the construction workers are sitting for lunch, and Escobedo — carrying her own backpack and my bag, too — says “provecho” to every single one). 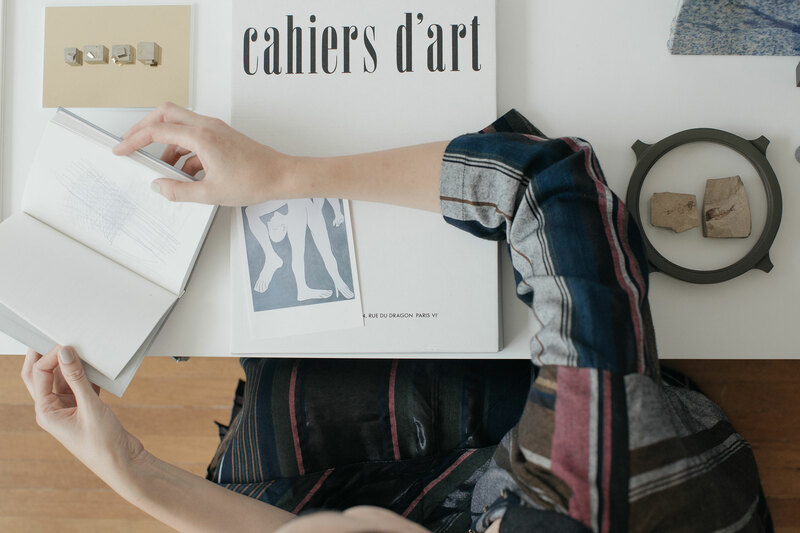 Here we talk about focusing on detail instead of sweeping gesture, putting your whole energy into even the smallest projects, and what opportunities are afforded by prominence. What lessons do you carry with you from the very first project you did into the projects you have done since? I started working on my own as soon as I got out of school so I never had a chance to think about financial structure. I was partners with [architect] Alejandro Alarcon at the time, and his mom asked us to do an extension of her house. Of course, we convinced her to do a whole new apartment. Because it’s what you do when you first come out; you have so much energy and want to do everything, so you’re very convincing. Through that, a friend wanted to do a house, his first house, and he had very little money. He got a piece of land from his dad on the outskirts of Mexico City, and he sold his car [to fund it]. So we built the entire house with less than $20,000, trying to do as much as we could. Just doing small things and getting the most of the materials. I think that’s something that just stuck in my head. Simple things, simple things. Stay simple. What possibilities open up when you have constraints? I think I learned that if you want to do something in Mexico and if you want to start your own thing, you need to take those opportunities. You cannot wait for the big commission or the fancy client. You just have to do the little things, and put all your energy into it. What other confluence of factors in Mexico City has had an influence on your work? I think it’s the layering that happens here, that is very obvious in the city. You have a colonial building with a modernist renovation on top of it. We’re not afraid of doing those kinds of interventions. And I think it’s very healthy to understand that architecture is always changing. It’s not that it needs to be in perfect condition. We’re used to doing these kinds of adaptations and re-uses and changes, and architecture is like that: It needs to be lived. Have you always been confident in your style and perspective, or is it something that one learns over time? I have a question about the celosias [the latticed breeze walls]. You’ve described them as “living in an exterior space in a very intimate manner.” I thought this seemed like it might also be a metaphor for your career at this stage. Like you’re a very public person now, certainly one of the most recognized architects in the world, but then also quite a private person. How do you retain time for yourself? I think it has to do with a female approach to designing space. I mean, I’ve been talking to some of my female colleagues, and how when people start asking the question of, “What is your dream commission?” or “What do you want to do next?” it’s never, like, “Oh, I want to do a skyscraper in New York.” It’s something different. They want to do something in the public space or a school. They always talk about complex projects, but not necessarily big commissions. I think it has to do with being a little more reserved. Not wanting to be in the spotlight. Like, not on purpose? You know what I’m saying? It’s more about the relationships that you build on your path. Being successful is more about the connections you make, rather than being in that spotlight. The celosia makes sense for that. It’s more about the intimate group that you’re working with, and what happens on the inside. And then you filter that kind of exposure. You have a lot of books of poetry and art, not only architecture. What are your influences there? I think you surround yourself with people and books you are curious about. I have an attraction to arts from the ’60s, in the use of materials, and the way they explained very complex ideas in very simple ways. For example, Carl Andre. He was talking about the site, not just the physical space surrounding the pieces, the places where he was doing this intervention, but also the material itself was talking about a very precise location. Wooden pieces would come from the rails in the town where he was installing his exhibition. Or the metallic plates were also a local material. It’s almost a snapshot of the site, and a piece about how people move in that geographical space. I think you just see his pieces and understand all of that at once. And it’s very simple. It’s just this repetition of objects. That’s very strong in your work also, to tie it into the Serpentine Pavilion. The first time I thought about this kind of overlap was at the Museo El Eco, with the cinder block field that we installed. But oddly that was not as strong as the commission for the Victoria & Albert Museum, which was an intervention on an English institution. It was commissioned for a dual year between Mexico and the U.K., for the Mexican pavilion. But doing a Mexican pavilion is, like, what are you talking about? It’s not necessary to express that kind of nationality. I think that’s a little bit obsolete. So we were just considering this overlap of landscapes, which is what happens all the time in the city. We’re doing these overlaps of history and renovations and ideas and aesthetics, all just piling up. It almost becomes like a mask. Because the actor is transformed by the mask, but he’s still himself. It’s a similar thing with the Serpentine Pavilion — it has to be very site specific, but at the same time it has to talk about what we do at the office, how we deal with materials. It needs to talk about the practice. We cannot know what materials will be available there, and we cannot pretend that we’re going to export a Mexican material, because it’s not about being Mexican. It’s about the Serpentine. So let’s use something that’s produced there [industrial concrete roofing tile], that doesn’t depend on the perfect shape of the tile, that’s more about the weaving. So it’s almost like a tapestry. You have the basic grid and then the thread doesn’t have to be perfect because you’re creating this type of texture. If the thread was a little bit bigger or a little less rounded, it didn’t matter. I feel like the thing about getting a really big honor like the Serpentine Pavilion is that one is tempted to think of it as a milestone, like there was a before and now there’s a grand after, rather than a continuity. But I did want to ask what it’s like to enter a sort of new phase. How have you gotten better? I think I’m not afraid of saying no to things that I don’t think are going to work. I’m not afraid now of saying, “This is what should be done.” I think also people trust me a little bit more. It’s an advantage of growing and being more professional. It’s easier to take risks. Can you share a bit more about your home and the building, and how you’ve made it a sanctuary? Well, it’s a Mario Pani building and it was built in ’59. It was actually the first condominium apartment building in Mexico. I really like it because it has different sizes of apartments, and it has a section that is offices and a restaurant and two shops, so it’s very diverse and very active and you have, like, every kind of person living here. And it’s very practical. It’s two blocks away from my office, and it’s central. I can do everything in a radius of four blocks. I don’t use a car anymore. Only bicycling, which I love. [Pani] also had this beautiful way of creating public and private spaces. The apartments are just half a floor up and down. You enter and you see this living room and this living space, but the bedrooms are lower. So it makes you feel like you’re actually going to a quieter place, even if it’s basically on the same floor plan. But that little movement was genius to make you feel like you’re in a more private space. What is an object in your home that has particular meaning for you? I can show it to you right now. This beautiful piece of petrified wood. I think it explains a lot to me about not just architecture, but also the world. Or a world through the eyes of architecture. Architecture is the moment where you have this precise snapshot of a society, of a geography. But if you look at the larger period, it’s very fluid and has been changing for a long time, so it’s not static. That was a very beautiful gift that someone gave me. It’s almost this idea of becoming, this process that is continuous, and I have this image about the thread that is running through two spools. It’s moving and it’s the same thing, but one is the past and the other is the future and you know one is going to shift into the other. It cannot go back, it can only move forward, but it’s still the same thread.